Explore Miami's surroundings by going to Fort Lauderdale (Calusa Coffee Roasters & Fort Lauderdale Beach). 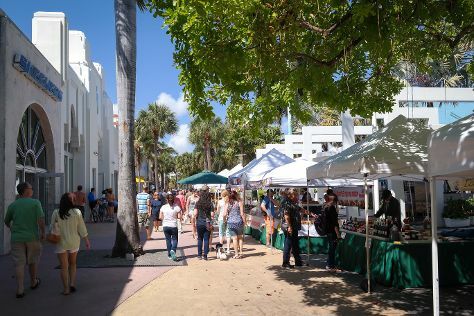 Next up on the itinerary: take a stroll through Lincoln Road, race across the water with a speed boat tour, kick back and relax at South Beach, and appreciate the extensive heritage of Art Deco Historic District. To find maps, other places to visit, traveler tips, and more tourist information, go to the Miami online route maker . In May, plan for daily highs up to 87°F, and evening lows to 74°F. Finish up your sightseeing early on the 20th (Mon) so you can travel back home.